1999 The second nationwide presidential elections were taking place in Kazakhstan in 1999. The second nationwide presidential elections were taking place in Kazakhstan in 1999. The second (extraordinary) nationwide elections of the President of Kazakhstan were taking place on January 10, 1999. 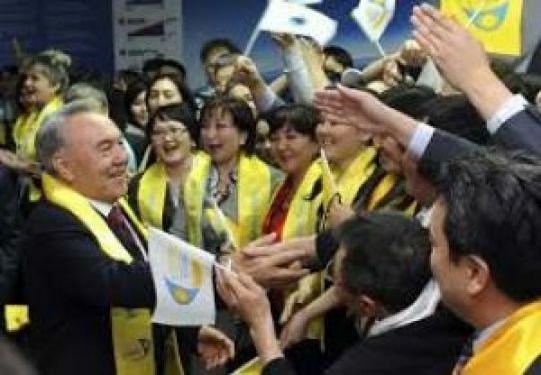 The incumbent president Nursultan Nazarbayev won the elections with 79.78% of the votes and remained in the office for the next 7 years. The only opposition candidate Serikbolsyn Abdildin (Communist Party of Kazakhstan) received 11.7% of the votes. Ilyas Yesenberlin was the great Kazakh writer and author of the historical trilogy "Nomads". He was born on January 10, 1915 in the town of Atbasar of Akmola region. Ilyas and his brother Ravnak became orphans at young age, their parents died during epidemic of black smallpox. His brother was sheltered by relatives whereas nine-years Ilyas became homeless child. In the sick and almost dying health condition he was sent to orphanage. During his study at school he showed outstanding mathematical abilities: he was able not only analyze and systematize quickly different phenomena and events, but also loved and knew very well the Kazakh folklore. He loved reading world literary classics and drawing. He was cheerful and optimistic person with a strong will, huge patience and an infallible memory. After graduating school he studied in "Workers’ Faculty" and then in 1940 he graduated from the Kazakh Mining and Metallurgical Institute. In the early period of the World War II he was mobilized to the front. But in 1942, being badly wounded he returned to Kazakhstan. After his marriage to the daughter of an "enemy of the people" and "companion of S. Seyfullin" he was chased by the authorities. He lost his job and then was sent to the construction of the Karakum Canal. In hard working conditions and starvation Ilyas survived due to the fact that he was a mining engineer and led the main section of canal construction. After Stalin’s death Ilyas Yesenberlin was released and rehabilitated. Later, with his wife Ilyas went to work in the mines of the Semipalatinsk region. He began to write during the war time. His first poems were published in 1945. Only after the war, he realized that literature was his calling. Having moved to Alma-Ata and working as an ordinary editor, he worked on his first novel "Pesnya o cheloveke" (The song about the person). Later Esenberlin moved to the studio, where he was in surrounded by his close friends Kapan Satybaldin, Shaken Aimanov, Olzhas Suleimenov and other famous masters of art and literature. He edited many films, wrote dozens of plays and screenplays. Although, he admitted that he was able to become a professional playwright. Till 1947 he worked in the Central Committee of the Communist Party of Kazakhstan. 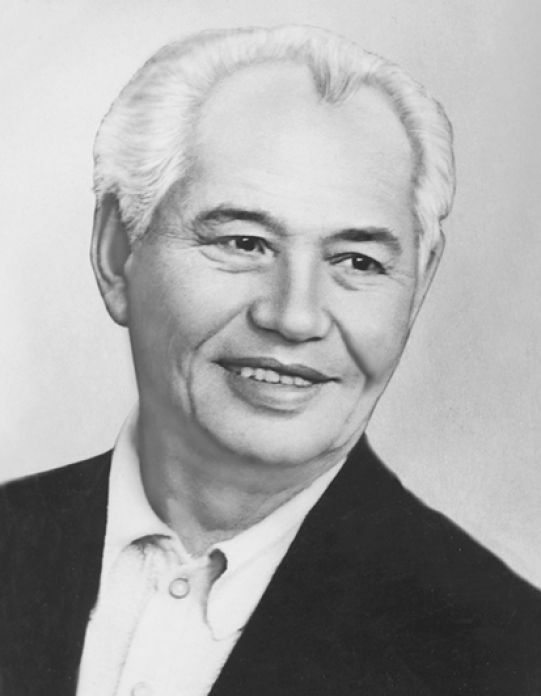 From 1947 to 1951 he worked as the director of the Kazakh State Philharmonic. Ilyas paid a lot of attention to the study of history of the nation. He learned scientific monographs, visited archives and carefully studied primary sources. There was the continuous process of accumulation and processing of material for the first historical novel conceived by him. In 1965, in three months I. Yesenberlin wrote the first book from his well-known trilogy "Kakhar" and later the whole trilogy, given the name to it — "Nomads". Pain and anxiety for the Homeland — the feeling which promoted deep penetration of the writer into the historical past of the country. His son said: 'I saw authentic patriot in my father". After the trilogy "Nomads" the historical works "Golden Horde", "Dangerous Crossing", novels on present subjects "A gold bird", "Flight" and many others were created. Ilyas Yesenberlin’s works differ in relevance of the lifted problems and courage of their decisions and colorfulness of the characters. His books have been translated into many languages and published in millions of copies. Historical novels of Ilyas Yesenberlin are a significant event in the culture of Kazakhstan. On October 5, 1983 Ilyas Esenberlin died of a rupture of heart, at that day when his son brought just published five-volume edition of his works.